The hourglass will keep going for Days of Our Lives. NBC just announced they’ve renewed the TV show for its 55th season. UNIVERSAL CITY, Calif. — Jan. 8, 2019 — “Days of our Lives,” the longest running series on NBC and an icon of daytime television, has been renewed for a record 55th season. The show’s 53rd season (September 2017-September 2018) saw a 4% increase in total viewers (2.55 million vs. 2.45 million in live + 7 per Nielsen Media Research) vs. the previous season. In addition, “Days” added a number of new characters and a few surprise returns that have kept fans and critics tuned in. “Days of our Lives,” which aired its 13,500th episode in 2018, remains a television institution. The show first premiered as a half-hour drama in 1965 and expanded to an hour 10 years later. The show has garnered 57 Emmy Awards, including most recently 2015 and 2018’s Outstanding Daytime Drama, and 323 nominations, as well as multiple People’s Choice Awards, GLAAD Media Awards and Prism Awards. Set in the fictitious Midwestern town of Salem, “Days of our Lives” airs nationally on NBC in the United States and in more than 25 countries internationally. The core families are the Bradys, Hortons and DiMeras, and the multi-layered storylines involve elements of romance, adventure, mystery, comedy and drama. 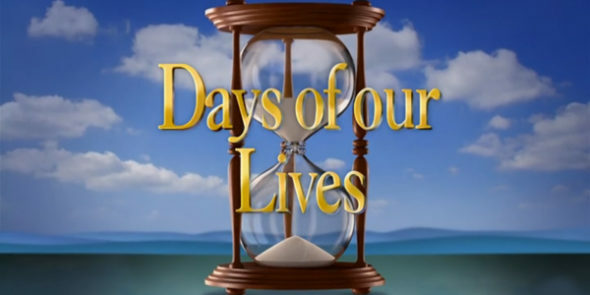 “Days of our Lives” is produced by Corday Productions, Inc. in association with Sony Pictures Television. Ken Corday is the executive producer with co-executive producers Greg Meng and Albert Alarr. Ron Carlivati is the head writer. What do you think? Are you a fan of Days of Our Lives? How long have you been watching? More about: Days of Our Lives, Days of Our Lives: canceled or renewed, NBC TV shows: canceled or renewed? I have watched Days since college and I’m 71. Recently I’ve considered not watching anymore. I could deal with the ubsurd multiple marriages and divorces. It was obvious to see it wasn’t real. I did stop watching for awhile when the storyline went to people being possessed,etc. Now, once again it’s becoming a platform for issues I don’t abide. That go against my core belief. Too politically motivated. I believe that poor ratings are due to the core fans of this show leaving for these same reasons. Whether it stays or ends is sad for me. Bittersweet. I was really hoping to see this terrible show cancelled just so I didn’t have to leave the room when my mother visits. In the age of dvr’s and streaming television I don’t know how these awful daytime shows keep surviving. Thirty five years watching is the best. I can not imagine Days being cancelled. I am 51 years old and I’ve watched it ever since I was 10. I watched it when Hope was a little girl… please keep my favorite show going. I dvr each day so if something happens I can make sure I see it. I am so happy it’s renewed for 2019-20. I couldn’t be happier that DOOL will be continuing for another year, I love the characters and the storylines, I look forward to tuning in every weekday. Thank you NBC for renewing this time-honored daytime tradition!! My wife has been watching Days since it’s inception. She still enjoys it and watches it every day. I have been following since Day 1 and have loved every minute of it. May the sand never run out.